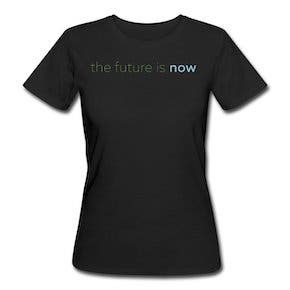 Trends in the US often start in California, expand to other Western states and/or Northeastern states, and then fill in eventually in the Midwest and South. 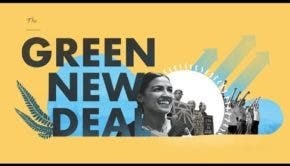 This same pattern is also occurring with sales of EVs in the US and is creating in essence green versus brown states, similar to our political division of blue versus red states. 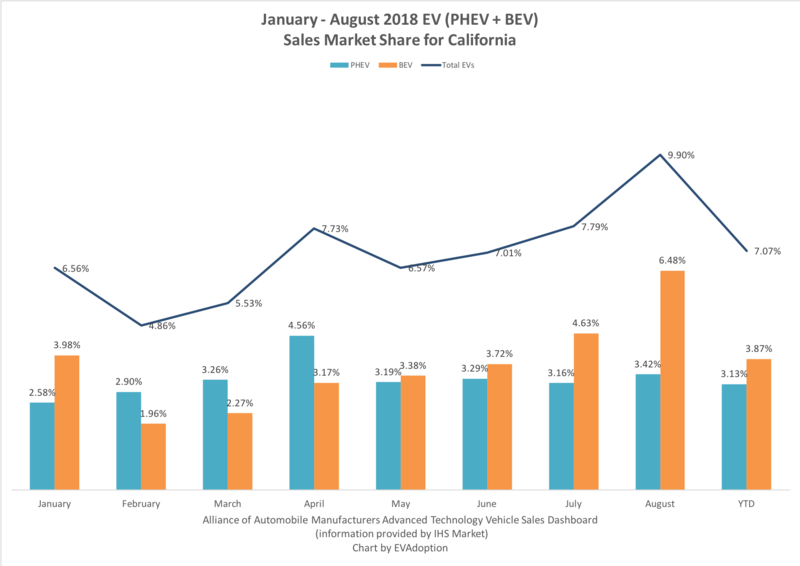 In August, 1 out of 10 (9.90%) new vehicles purchased in the state of California were EVs (PHEVs + BEVs), according to the latest numbers from the Alliance of Automobile Manufacturers Advanced Technology Vehicle Sales Dashboard (information provided by IHS Market). 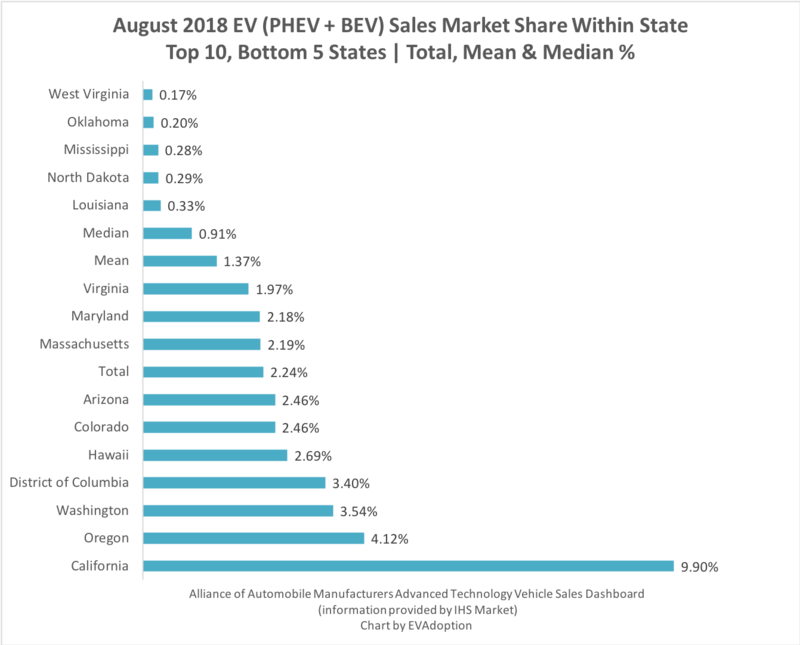 West Virginia came in last at 0.17%, meaning Californians purchased EVs in August at a rate 58.2 times greater than the state that has become heavily associated with the coal industry in recent years. Year-to-date (January through August), California’s EV sales market share stood at 7.07%, nearly double that of the state of Washington at 3.65% and 4.3 times the US total of 1.66%. If you exclude total vehicle and EV sales from California, then the EV market share YTD for the rest of the US would be under 1% at 0.93%. The bottom 5 states were West Virginia (0.17%), Oklahoma (0.20%), Mississippi (0.28%), North Dakota (0.29%), and Louisiana (0.33%). For the entire year of 2018, the US EV sales market share will likely come close to 2.00% and California should end up between 8.5% to 9%. However, the last 3 months of 2018 for California should average well above 10%. At this rate, California could “cross the EV chasm” (16% of new vehicle sales) at some point during 2020. 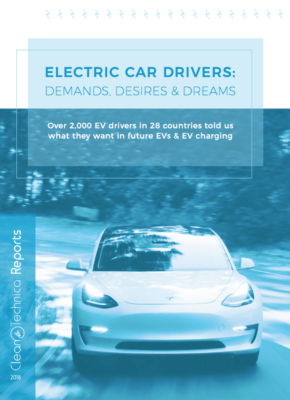 As I shared in my analysis and article New Models Drive Majority Of US Plug-In Vehicle Sales Growth, Analysis Shows, over the years the vast majority of sales growth comes from the introduction of new EV models into the market. 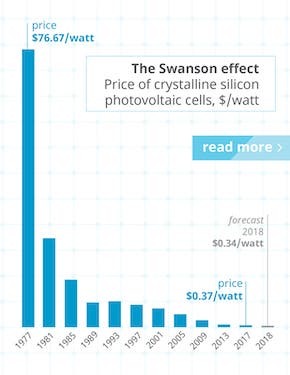 In fact, without sales of the Tesla Model 3, US EV sales year-to-date would be up only about 16,000 units or an increase of approximately 10% versus nearly 74% with the Model 3. And if you factor in nearly 14,000 in sales of the Honda Clarity PHEV YTD, US EV sales YOY would be nearly flat. Gas prices: If the price of gas rises above $4 a gallon in California for an extended period, you could see a lot consumers make the switch to a PHEV or BEV, especially by those with long daily commutes to and from work. Phaseout of the Federal EV tax credit for Tesla and GM: I don’t expect the phaseout of the tax credit to impact sales of Tesla models much. However, GM’s Bolt and Volt could be hurt fairly significantly, with many consumers opting for the Honda Clarity PHEV and Toyota Prius Prime over the Volt, and Hyundai Kona and Kia Niro BEVs over the Bolt. California Assembly Bill AB1184: If state bill AB1184 passes in 2019, it could establish a $3 billion fund to support the adoption of EVs with larger and instant rebates, more programs for low-income buyers, and the deployment of more charging stations. This program could especially give a boost to sales of EVs priced under $40,000. Stock Market/Housing Market: California’s economy continues to be strong, ranking as the 5th largest in the world if the state were a country, but a significant downturn in the stock market or housing prices could dissuade many consumers from opting for a more expensive EV for their next auto purchase. Tesla Model Y: The upcoming crossover version based on the Model 3 is ideal for the California market. It will be perfect for the active outdoor lifestyle of many Californians, and it will replace the now passé Toyota Prius and then the Model 3, as the ultimate way to signal to your neighbors that you are indeed green. Once the Model Y is widely available it could easily become the top selling vehicle overall in California. Other New EV Models: I expect the upcoming Hyundai Kona and Kia Niro BEVs to sell well in California, but I don’t expect them to be huge sellers. Many Californians (of which I have been one my entire life) can be brand snobs, and at least in recent years have tended to prefer Japanese brands, US-made trucks and SUVs and European luxury cars. I actually expect the rumored Ford Escape Energi PHEV to be a huge hit in California, assuming it is priced right and has a decent electric range of at least 25-30 miles (or more). Finally, the upcoming luxury SUVs/CUVs from Jaguar, Audi, Mercedes-Benz, and BMW should do well in the Golden State, adding perhaps a combined 50,000 units sold per year. 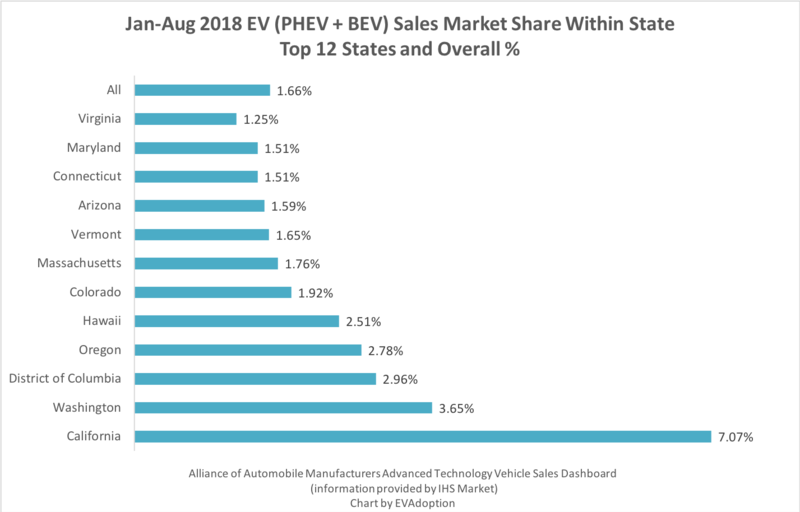 Accounting for more than 53% of all EVs sold in the US in August (50.4% YTD), California is clearly driving the country toward mass adoption of electric vehicles. The only question is: How long it will take for most of the rest of the country to catch up?